"hi i've just browse thru your website! 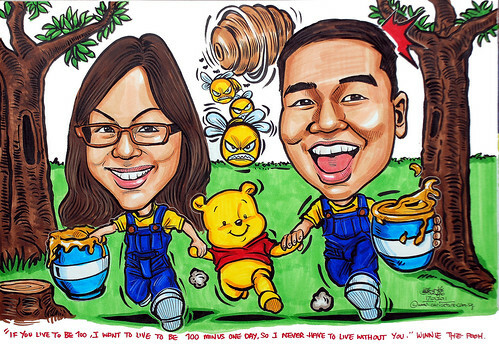 I like to change the entire concept and background to this (caricature attached) but i prefer baby pooh bear. I like the drawings to be in ink & brush only, no need colours. To include this quote "If you live to be 100, I want to live to be 100 minus one day, so I never have to live without you." - Winnie the Pooh"
"thanks! thanks!! that nice! :)"